I’ve been asked by a student of Central Saint Martins College to contribute a comic as part of her final exhibition. 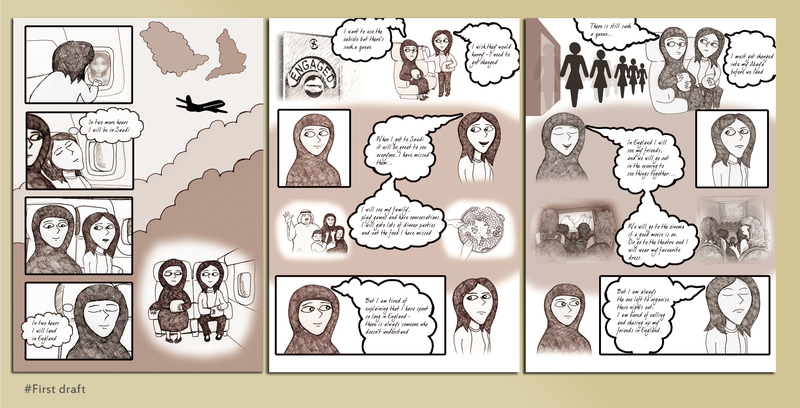 Shahad Abulainain is studying an Ma in Creative Practice for Narrative Environments (http://www.csm.arts.ac.uk/courses/ma-cpne/). Her project is concerned with the duality of young women who maintain lives in Western and Middle Eastern cultures, and based on interviews with women facing switches between these cultures on a regular basis. The comic is to focus on the identity change that seems to take place on the plane journey from one kind of existence to another. The first draft of the first few pages are below. And underneath that, I’ve also included some character designs for Sherbet Dab the London Cab, for a children’s story by Gary Jones. 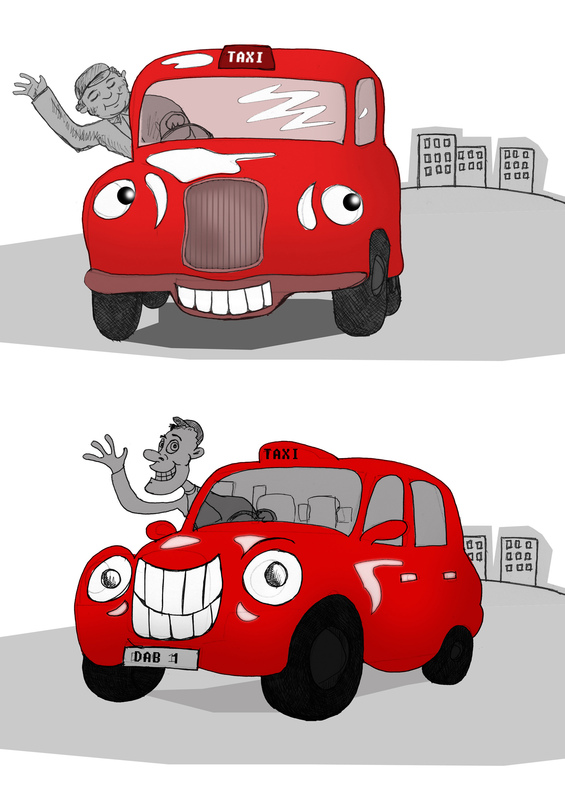 This entry was posted in Uncategorized and tagged comic, red taxi. Bookmark the permalink.